In experiments that culminated in 1943, Rockefeller researchers made a discovery that launched the era of molecular biology and thus modern biologic science: they found that DNA is the material of heredity. It was a surprising result in at least two ways. First, most scientists of the day considered DNA too simple a molecule to encode genetic information because it contained only four different building blocks. They suspected that genes were made of proteins, which were known to be more complex molecules containing twenty components. In addition, the discovery was the unforeseen result of research to find a cure for pneumonia, specifically a bacterial pneumonia caused by pneumococcus, which killed 50,000 people a year in the United States at the beginning of the 20th century. Oswald T. Avery (1877-1955) joined the Rockefeller Hospital in 1913 to work on developing a therapeutic serum for pneumonia. There are many strains of pneumococcal bacteria, some more virulent than others. Avery and his coworkers set about investigating the chemical differences among strains. 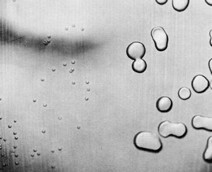 Pneumococcal bacteria are enveloped in a gelatinous coating, or capsule, that protects them from the immune defenses of the organism they have infected. A breakthrough came in 1923 when Avery's group showed that this capsule is made up of complexly linked sugar molecules. The specific virulence of a pneumococcal strain depended on which sugars made up its capsule. A few years later, a British researcher, Frederick Griffith, described a phenomenon called "transformation:" under certain circumstances, pneumococcal bacteria that were unable to make capsules could be induced to transform into a different type, with a capsule. Griffith's experiment had been to infect laboratory mice with two kinds of harmless pneumococcal bacteria simultaneously. One type was live but crippled—it had lost its ability to make a capsule, and thus would be killed by mouse immune defenses. The other type was whole, but had been killed by heat. Individually, neither type should have harmed the mice. But Griffith's mice, infected with both types, died from an infection of living, virulent bacteria of the type that had been injected dead. Somehow, the living, capsule-less bacteria had been transformed into a virulent encapsulated type. Taking up this problem, Avery and his colleagues established that the dead bacteria had transferred an unknown chemical to the capsule-less cells. This substance enabled bacteria to grow capsules and evade the mouse immune system. Between 1934 and 1940, Colin MacLeod (1909-1972), in Avery's laboratory, derived a strain of pneumococcus that was predictably, and reproducibly, susceptible to transformation. In 1941, Maclyn McCarty (1911-2005) joined Avery's group and did research to purify and analyze chemically the "transforming principle." By the end of 1943 Avery and McCarty had concluded that this substance, which produced permanent, heritable change in an organism, was in fact DNA. Oswald T. Avery received the BA from Colgate University (1900) and the MD from the College of Physicians and Surgeons in New York City (1904). From 1907 to 1913 Avery did research at the Hoagland Laboratory in Brooklyn, a privately endowed research institute for bacteriology. Avery moved in 1913 to the Rockefeller Institute, where he remained for the rest of his career. Among many awards and honorary degrees, Avery was elected to the U.S. National Academy of Sciences and received the Lasker Award (1947). Colin MacLeod earned his MD from McGill University (1934). The next year he joined Oswald Avery's laboratory at the Rockefeller Institute. 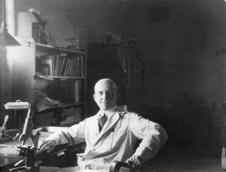 In 1941 MacLeod became chairman of the Department of Microbiology at the New York University School of Medicine. Among his scientific achievements there were field trials of an antipneumococcal vaccine. Aside from four years at the University of Pennsylvania (1956-1960), he remained at NYU. 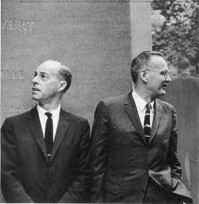 MacLeod was an important figure in post-war science policy through his involvement with the Department of Defense, the National Institutes of Health, the President's Science Advisory Council, and the National Academy of Sciences. He was elected to the U.S. National Academy of Sciences. Maclyn McCarty graduated from Stanford University (1933) and received the MD from The Johns Hopkins University Medical School (1937), where he remained for three years for further training in pediatrics. He joined the Rockefeller Institute in 1941. During World War II McCarty was a lieutenant commander in the Navy Medical Corps, serving in the Naval Medical Research Unit based at the Rockefeller Institute Hospital. In 1946 he became head of his own laboratory. There, for the rest of his career, he focused his research on group A streptococcus, the bacterium that causes rheumatic fever. The recipient of many awards and honors, McCarty was a member of the U.S. National Academy of Sciences and a charter member of the Institute of Medicine. He also received an award for Special Achievement in Medical Science from the Lasker Foundation (1994). Avery OT, MacLeod CM, McCarty M. Studies on the chemical nature of the substance inducing transformation of pneumococcal types. Induction of transformation by a desoxyribonucleic acid fraction isolated from Pneumococcus type III. J Exp Med, 1944, 79:137–158.